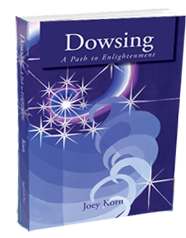 We are pleased to announce the new revised edition of Joey’s book, Dowsing: A Path to Enlightenment, will be available in December. Order it now, be one of the first to receive it the official First Edition and you’ll get free shipping within the US! You’ll also get a free gift CD when we mail the book.